Nurses are a critical part of care at American Family Children's Hospital. Two of our nurses from the Pediatric Hematology, Oncology and Bone Marrow Transplant program - Abby Roth, RN and Sue Hubanks, RN - explain what they do and how they help care for patients. What special skills and training do the outpatient hematology/oncology nurses have for treating children with cancer and hematologic illness? What is your background and interest in caring for these patients? I graduated from the University of Wisconsin-Madison School of Nursing in 2004. I worked at UW Hospital and Clinics on the pediatric hematology/oncology unit as a student nursing assistant during college. I also worked at Children's Hospital of Milwaukee on the inpatient hematology/oncology/bone marrow transplant unit for two years. I am now working at UW Hospital and Clinics in the outpatient hematology/oncology clinic, and will be getting chemotherapy training and certification this Spring. 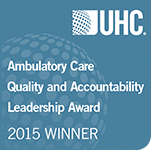 What are the challenges and rewards of nursing care of hematology patient in an outpatient setting? Though I am new to th Pediatric Sickle Cell clinic, I look forward to providing care to the sickle cell pediatric population. I enjoy the continuity of care my practice allows in which I am able to form a relationship with these patients and their families. To be able to educate these patients on their chronic condition, while also encouraging their independence to be an advocate for their health, is very fulfilling. Some challenges I face include bridging the communication gap between the provider, family and school system in order to better serve these children. What are your goals for the Sickle Cell program? A goal of the Sickle cell comprehensive program is to bring more awareness to sickle cell disease and further educate the patient's and families. I also hope to empower the patient's to advocate for their own health care and have a more easy transition into adult care. What special skills and training do the inpatient hem/oncology nurses have for treating children with cancer and hematologic illness? 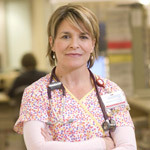 First and foremost, the RNs that work in the Pediatric Hematology and Oncology unit want to work with this population. This population would not be the first choice of many health care workers. When people learn where I work or what I do, mostly the comments are "How can you do that?" "I would never be able to work with that population." Secondly, there is a special certification that RNs can test for and achieve: the Certified Pediatric Oncology Hematology Nurse. It is optional. This certification requires that you have two years of full-time experience in the field, and entails the passing of a very arduous test. Typically the RNs in the Pediatric Hematology and Oncology unit study in groups for this exam, beginning six months before the actual test. How has care of children with hem/onc diseases changed in your career? What I have noticed mostly is the awareness of issues surrounding pain, viewing the patient within the context of their family versus just the patient alone, and a broadening array of services offered to our families so that they don't feel so isolated. There are also continuing medical advances, which are incorporated into the treatment plans. Truly, the most rewarding to me is the privilege of working very intimately with families who are going through this huge emotional upheaval in their life - being instrumental (if at all possible) in helping them cope, heal, evolve. Sometimes the miracle isn't in saving the life of a child, it is seeing how the family comes together to deal with an insidious illness which has threatened the very core of their (and their child's) being. It certainly puts life into perspective. What role do nurses play in the team approach to providing the best care to our patients? Nurses offer the best opportunity for continuity than any other health care provider. They are the ones who are with that family/child most often, and can be a mouthpiece or advocate for them.